Here’s an interview that I recently did !! It was posted online yesterday !!! Enjoy my friends ! Sometimes a lot of us burn and ache in our lives but the best remedy for that is to listen to some of the acid blues from a man who knows definitely about a thing or two about this game called life. 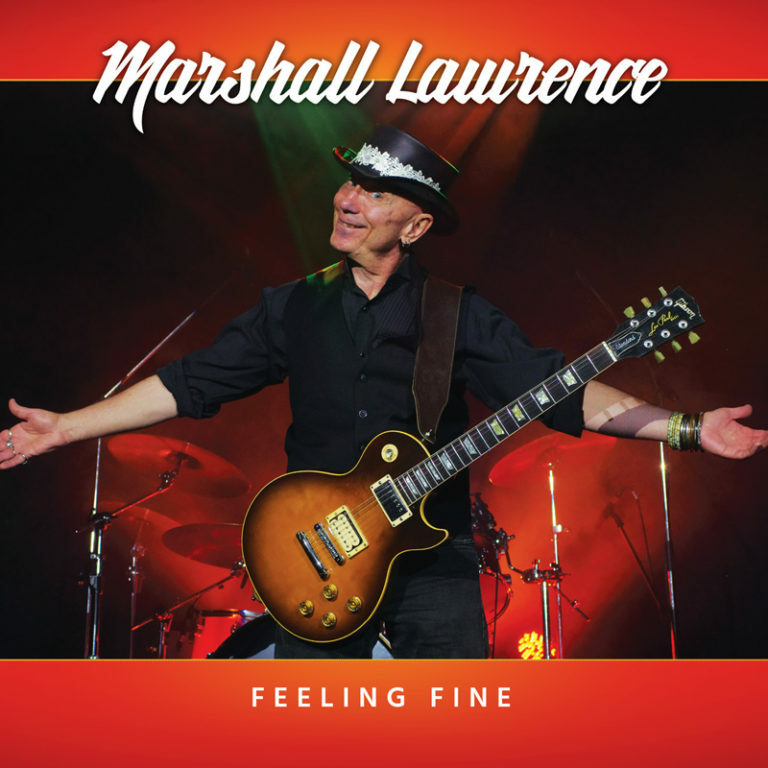 Marshall Lawrence who is known as being The Doctor of Blues will always relate to what you are going through and will always bring you to the point where you can say that everything is going to be alright. The fact of the matter is that Marshall does not isolate but rather embraces the sorrows you may have and inspires to you to take them on head strong. FERNTV was able to get an appointment with the one who prescribes the best medicine of all: music. FERNTV: It’s funny that a lot of people would never think that there would be a blues scene in Edmonton but it is a city of hard working people and long hard winters…so do you feel that the music you produce now is a product of your environment? Marshall: Absolutely, it has influenced my music. You can only write about what you have experience, what you know and what you feel. For example, the Blues is a healing music and my fans gave me the name “Doctor of the Blues” because of the approach I take to the blues. I play the blues to heal myself as well as to provide the healing sounds to the audience. I was initially called the “Doctor of the Blues” by a fan in Kingston, Ontario many years ago. As I was playing at a local pub I noticed a young man staring intently at me and smiling. After the set was over I approached him and thanked him for coming to the gig. He told me that he had been seriously depressed, did not feel very good about himself, and that after hearing and seeing me play he felt better about himself. He decided things weren’t really all that bad for him, and saw that there is still passion and caring in the world. He said I healed him, called me the “Doctor of the Blues” and the name stuck. The interesting thing is that he did not know that I had a Ph.D. in Psychology. FERNTV: Blues artists like Dave Rotundo and Julian Fauth started their blues careers in Toronto in the Spadina and Kensington area…where would that place be in Edmonton? Marshall: A similar area in Edmonton would be Whyte Avenue. That is where lots of bars are located within a very few blocks. There is lots of action and excitement on Whyte Avenue almost every night of the week. FERNTV: Do you welcome freestyle musicians on stage when you perform? Marshall: I welcome all sorts of musicians on stage with me. I like being surprised. When you see a fellow musician in the crowd it is considered a form of respect to invite them up. Interestingly, I’ve labelled my style of blues “acid blues” to describe the combination of all the various styles of music that I’ve played and now infuse into the blues and also for my fiery and adrenaline driven approach to playing the blues. I did the rock thing, I did the punk thing, I did the funk thing and, for me it was just a progression to come back home to the blues. I use all of these musical influences in my approach to playing Blues, whether I’m playing acoustic or electric. So for me, Acid Blues is a mixture of blues, soul, rock, punk, and funk and above all else, self-expression. It’s always exciting when a blues tune morphs and changes live on stage. It’s like a musical journey and it’s magical!! Marshall: My three CDs are definitely part of a trilogy…. As Richard Amery from the L.A. Beat so aptly wrote in his review of Blues intervention….. “……..Where’s The Party,’ was an electric blues powered uptempo number with a bit of horns and a lot of music to drink vast quantities of alcohol too, his second, ‘the Morning After,’ proved to be just that— a beautifully wrought, laid back acoustic CD to soothe the souls and the livers of those trying to remember the night before. That being true, ‘Blues Intervention,” is the CD acoustic blues aficionados listen to get pumped up for another night of partying. ‘Blues Intervention ’ splits the difference. It retains the spirit of traditional Delta blues, while adding a modern twist as well as some bluegrass influence and some very cool mandolin playing……… “ Richard really got it right, as far as the mood and vibe I was creating when putting this trilogy together. FERNTV: Does it still hold true today that you cannot be a true blues musician if you are not a good storyteller. Can you comment on that? Marshall: Absolutely, when you’re playing blues, you need to be real and you need to be able to tell a good story. If you’re singing about you’re a break-up in a relationship, well, you really need to know what a relationship is all about. You need to have had life experience to really put the emotion, to put the feeling, to put the healing aspects in your song. Overall, blues is a healing music. It allows you to express and sing about what you feel any way you want. Some people say that the blues is a down music, you know it’s sad and depressing, but it’s not. The blues is actually a happy music. You may be singing about some bad patches in your life but through the singing you are working through it and passing on a lesson to whoever is listening. Through the telling you feel good and so does the audience. Everyone can identify with the blues. Blues helps us laugh at our troubles, share our story with others, helps us put things in perspective and helps us move on. It lets us know that we are not the only ones that have experienced bad patches in life. I owe a lot to the blues.